The mother of the leaders of the Maute terror group has joined their father in government custody. Omenta Romato Maute, the mother of brothers Omar and Abdullah, was arrested along with seven other women, in Masiu, Lanao Del Sur. 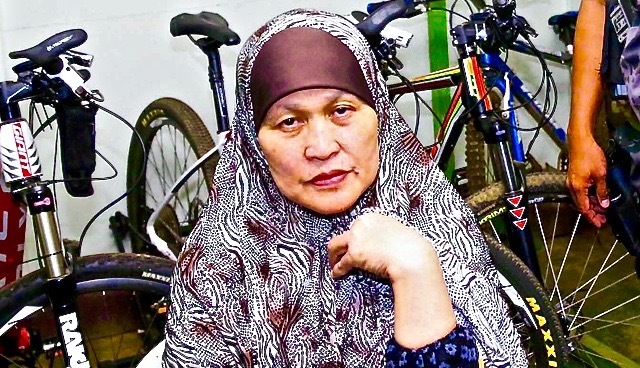 Before their arrest, Farhana and the other women had been hiding in Barangay Dayawan in Masiu where they had bought firearms and a car, which they intended to use in their escape from Lanao del Sur. It is suspected they had been providing logistical and financial support to the terrorists who have controlled parts of Marawi city since May 23. Besides the firearms, authorities also seized a number of improvised explosive devices. Yesterday, we reported how Cayamora Maute, the father of the brothers and the patriarch of the clan, was arrested in Davao City. He has since been transferred to Manila. Meanwhile, the military is investigating reports that the Maute brothers have been killed in recent clashes. Army spokesman Lieutenant Colonel Jo-Ar Herrera said there were “strong indications” that Omar and Abdullah were killed in government offensives. “There are reports that Omar and Madie were killed in the operations. We are still validating this report but there are strong indications that they [were] killed,” he said in a press briefing. The chaos in Marawi city is now into its third week.